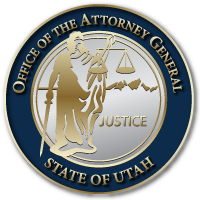 Price, Utah November 22, 2016 – In cooperation with the Carbon County Attorney’s Office, the Utah Attorney General’s Office announces the conviction of Thomas Edward Egley for the murder of Loretta Jones on or about July 30, 1970. In 2009, Sergeant David Brewer with the Carbon County Sheriff’s Office reopened the case at the request of family members of the victim. Sergeant Brewer’s investigation led to Egley’s confession to stabbing Jones and slashing her throat for refusing his sexual advances, leaving her to be discovered by her 4-year-old daughter Heidi Jones-Asay, the next morning. Egley was sentenced to prison for a term of 10 years to life. “This was a heinous and brutal murder, and 46 years should not mitigate a recommendation of prison,” said Assistant Attorney General Gregory Ferbrache. The conviction is the culmination of nearly seven years of dedicated investigation on the cold case by Carbon County investigators, nearly 46 years after the events occurred. The prosecution team consisted of Carbon County Attorney Gene Strate, Deputy County Attorney Jeremy Humes, Assistant Attorney’s General Gregory Ferbrache, Shelley Coudreaut and Russell Smith. This entry was posted in Archived Posts, Recent Posts and tagged Carbon County, Loretta Jones, Thomas Egley on June 27, 2018 .